Different materials for different requirements. 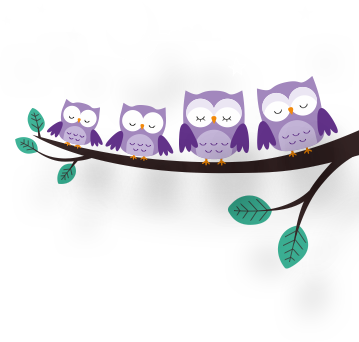 that babies can sleep healthily and safely. Why is a point-by-point elastic mattress core so important? As one of the main components of the mattress, the mattress core material plays an important role. The spine of a baby is not yet fully developed. Through a point-by-point elastic mattress core, the spine is optimally relieved of pressure and yet supported so that your baby's backbone can develop healthily. For unique lying characteristics to protect the spine. For incomparable ventilation within the mattress core. For surefootedness when babies make their first attempts at standing up. Two degrees of hardness aligned to the weight of the baby. What is the difference between soft foam, cold foam and special foams? Basically, all types of foam can be used in a baby bed. However, there are differences in the breathability and the point-by-point elasticity. Most of our models are made of cold foam. This has a better air permeability than conventional soft foam and adapts perfectly to accommodate the body. Some models are also made from special foams. These special foams are generally treated cold foams, and are therefore more breathable than normal cold foam. They also relieve the spine more effectively. Due to their three-dimensional shape, 3D comfort pads react with high point-by-point elasticity, and relieve any sources of pressure. They thus provide optimum support for your baby's spine. In addition, they guarantee optimum ventilation through the gaps resulting between the individual 3D comfort pads. 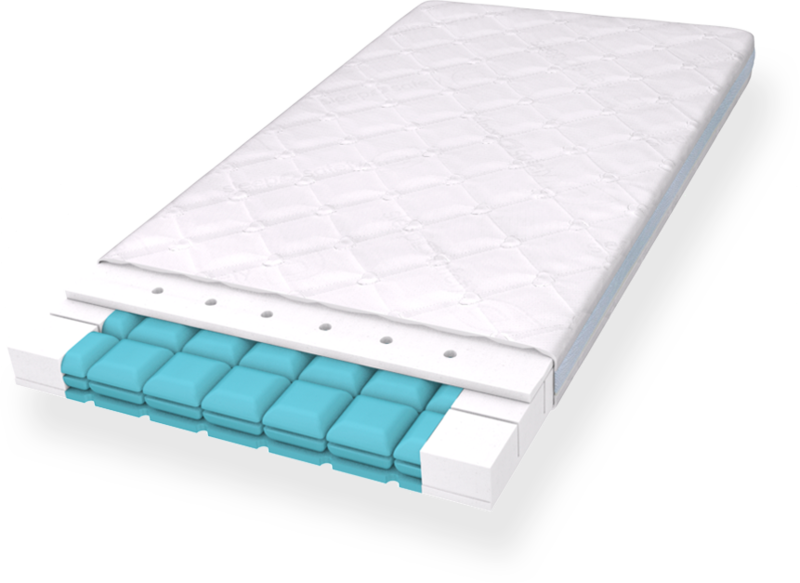 Depending on the weight of the baby, the mattress core has two different degrees of hardness in order to protect the spine. It is recommended to turn the baby side over to the toddler side from a weight of 12 kilograms. Reinforced edges on the longitudinal sides of the mattress are provided for the first attempts at standing in the baby bed; they prevent caving in or getting stuck between the lattice bars. We deliberately produce our mattresses without reinforced edges at the head and foot ends as they are too hard for baby's little head. To ensure that your baby is bedded down in an ergonomically effective manner, a point-by-point elastic mattress core is required. This optimally relieves the spine of pressure and yet still provides support – for healthy development. Excessively hard mattresses are not suitable for the soft bone structure of a baby. With our products, you can be certain: All our mattresses have the correct degree of hardness if your child lies within the standard weight and height range. With the aid of a sensor measurement device, we test and develop lying characteristics on our Träumeland mattress cores.